There was a definitive ‘Rising of the Phoenix’ among the Bermuda Netball Association over the course of the past week, with a ‘Friendly Coup’ of the social media relations wing by the Phoenix Netball Club. The club assumed management and function for all of the social media accounts, delivering via varied online mediums netball related items of information past and present, including video clips and sideshows demonstrating on court and off, match action, team camaraderie, relationship moments and plenty of celebrations. Recent weeks have seen various clubs assuming similar control and Phoenix certainly maximised in their role in flooding the social media and cyberspace spectrums. The initiative called “Team Takeover” is put on by the BNA and allows each club team one week to take over the BNA’s social media platform to promote netball, gain more followers, and increase engagement, while also providing fun competition amongst the netball teams to see who gains the most likes during their takeover week. The team that wins gets a prize. 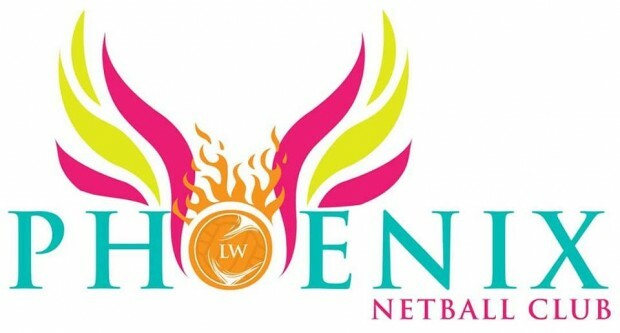 During their recent tenure, with their hashtag #PhoenixTakeover and posts buzzing all over the internet, the club borne from the former BPSA Too group would seem to have had great impact in carrying out the mission..
Phoenix Netball Club kept busy during their week with a variety of netball news, trivia and challenges being posted. They hosted a “Finish the Bars” singing challenge in and throughout the City of Hamilton, before ending with an invasion and commandeering of the training session of a local club soccer team to teach the men a thing or two about netball. On Wednesday morning, Phoenix posted a warning and notice to all soccer institutions, tagging them in a post, along with the BFA, that as part of their #PhoenixTakeover they would be invading and taking over another football teams training session by the week’s end. The post received a lot of attention and people of the community started voting for the teams they wished Phoenix to invade. There were live video calls to a few football players on Instagram that also took place as Phoenix warned them personally to be ready while asking them questions about netball for good fun. The national coach of the Bermuda football team, Kyle Lightbourne was amongst the chosen and during the interview was asked who his starting 7 players would be in Netball – from Goal Keeper [GK] to Goal Shooter [GS]. The coach, coming off of a special performance by his team against El Salvador in the National Cup competition, and having played in the BNA’s first annual Celebrity Netball Exhibition Match was able to give some thoughtful consideration on a solid and strong team. Phoenix would later on appear suddenly at Southampton Rangers Community Club blowing their whistles and with bags of equipment, seizing the moment to exert complete control and dominance over their training session. According to the Phoenix, they said: “The session plan was to firstly have lots of fun but also show the guys some drills and games played in Netball that can be applied and adopted for Football. Meanwhile, post-training interviews with some of the football players revealed the session was a success and left the players with more appreciation for both the technical and physical aspects of netball. Phoenix also found occasion to offer thanks and appreciation to Marva Trott, one of the legends of the local game and who was also a recent honouree at the Sport Bermuda Magazine Awards in the sport of netball. Phoenix Netball Club encourages the community to check out what they have been up to, and what they have planned for the weekend by following @bdanetball and @phoenixnetballclubbda on Instagram and Facebook, and subscribing to Bermuda Netball on YouTube. #PhoenixTakeover ends this Sunday. Go follow them so you don’t miss out on the all the action.